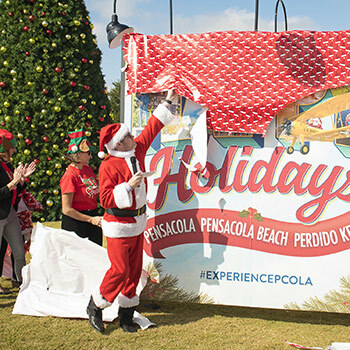 Happy Holidays: Here you’ll see some of the many experiences waiting for you year-round in Pensacola, Pensacola Beach, and Perdido Key. Blue Angels: Santa will have no problem going around the world in time with a little help from the Blue Angels. 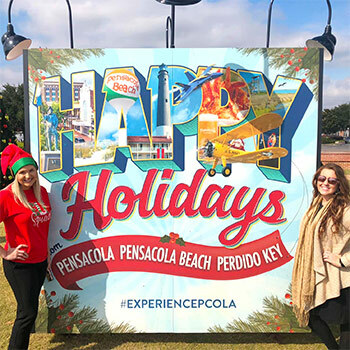 Adventures: Pensacola’s Graffiti Bridge provides a portal into new adventures for the new year. 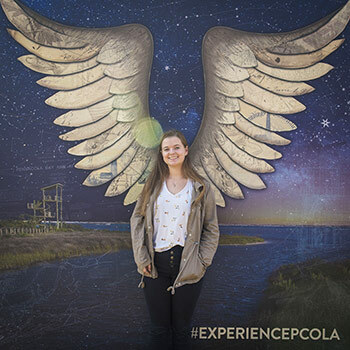 Wings: This collage explores the natural experiences of Big Lagoon and Perdido Key – featuring ephemera with nautical and nature themes.